Allergy advice: Due to factory processes this product may contain traces of Celery, Cereals containing Gluten, Egg, Milk, Mustard, Nuts, Peanuts, Sesame, Soya and Sulphites. Store in a cool dry place. Protect from sunlight. 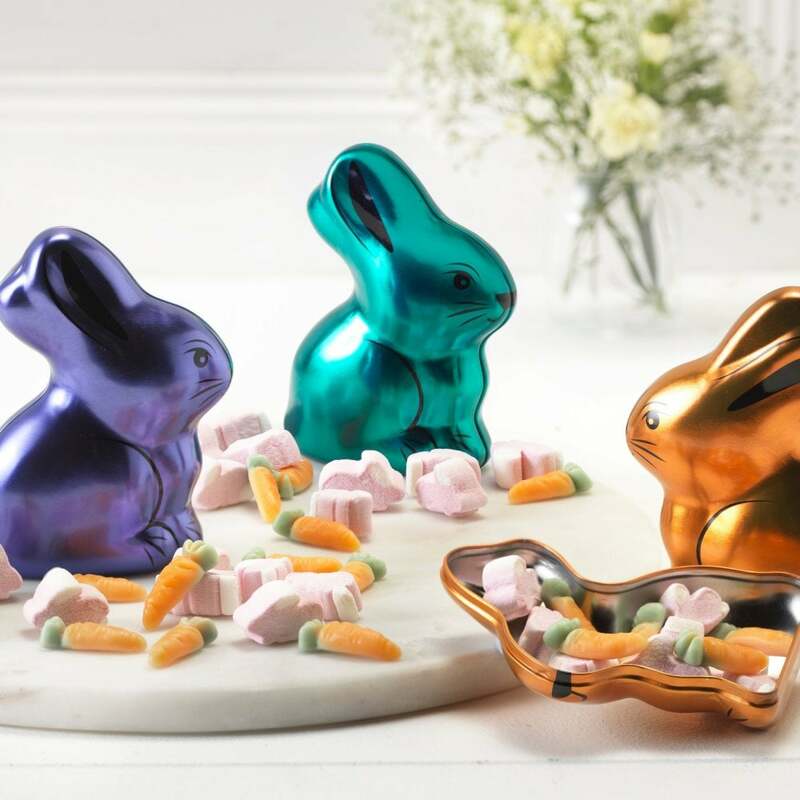 This trio of multi-coloured rabbits are sure to brighten up your Easter! Each tin is filled with tasty jelly carrots and marshmallow rabbits. Can be given as three separate gifts or kept as a set.